It has become painfully obvious that the Achilles Heel of a running tour, is the Achilles heel. After months of trying to get an aching Achilles tendon to come around St. Louis Running Tour is going to take a brief hiatus during the month of September. Regularly scheduled running tours will still be available through the 1st weekend of September. 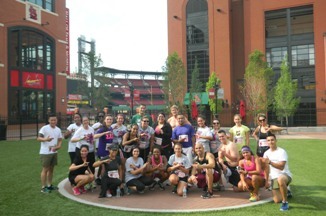 Then beginning in October, after the month-long hiatus, St. Louis Running Tour will only be leading private running tours and tours for large groups. If you have been waiting to sign up for a running tour, now is the time with just over 1 month to go for the regularly scheduled weekly runs. Until the 1st weekend of September, St. Louis Running Tour will still be offering several tour options for 2018. Click on each link below for more details & to register. 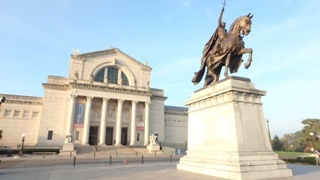 All year round 8:00 AM Saturday & Sunday mornings & from May 2 through August 31, 2018 tour options at 6:30 PM on Wednesdays and 4:00 PM on Fridays; all use a 3.5 mile route lasting approximately 2 1/2 hours where we talk about historic St. Louis while running, while stopped at different locations, & while running some more. Fee includes guided tour, pictures taken along the run, a t-shirt option, & post-run drink. 9:00 AM on the 1st Sunday of every month; approximately 2 hour run covering 4.5 miles through the one of the largest & arguably the best urban park in the US. This 1,300 acre oasis is home to 5 world-class cultural institutions. The regular running tour options don’t meet your needs? No problem! Schedule a private running tour to fit into your schedule. 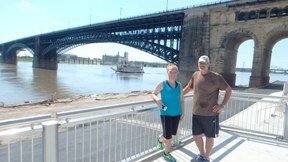 Private running tours can originate from your hotel or from the Kiener Plaza where we regularly meet. Distances, day and time altered to accommodate you. Planning a conference, company meeting, have new employees, need to break up a busy weekend for the wedding party? A running tour is a great option to get people out, active and seeing the city in a healthy, safe & fun way.